The definitive field guide and handbook of the amphibians and reptiles of Cyprus. 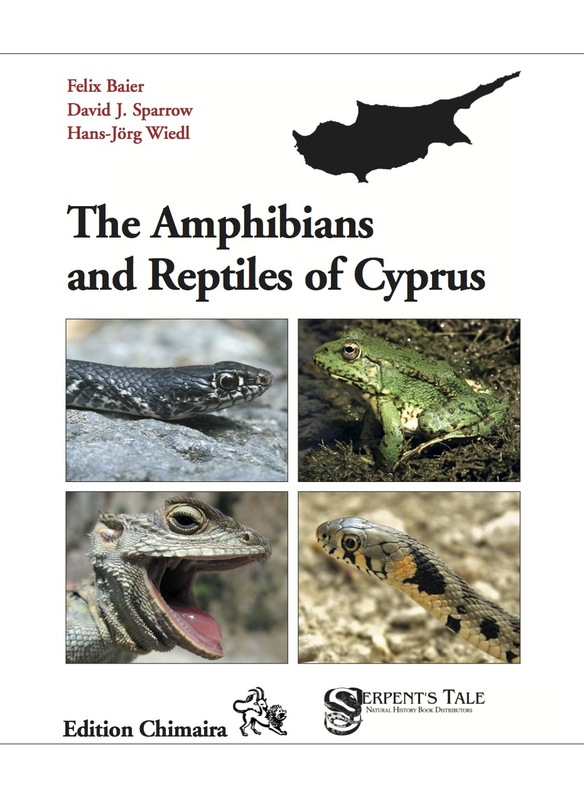 After a general introduction to the island, the book features detailed accounts of every amphibian and reptile species in Cyprus, including information on taxonomic history, morphology, distribution, ecology, and behavior and conservation. The concluding chapters discuss the zoogeography of the herpetofauna of Cyprus, the relation of herps and humans in Cyprus, and threats and conservation efforts for the amphibians and reptiles of Cyprus. Now in its 2nd, fully revised and updated edition! Felix Baier, David J. Sparrow, & Hans-Jörg Wiedl (2013). The Amphibians and Reptiles of Cyprus. 2nd revised and updated edition. Frankfurt/M., Germany (Edition Chimaira). 362pp. ISBN 978-3-89973-476-8.